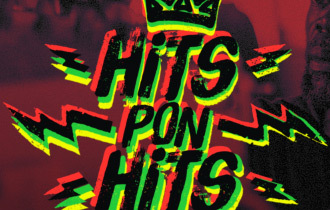 Hits Pon Hits started as a collaboration between two respected promoters / reggae connoisseurs. Matt Culbertson approached Adrian "AK" Cisneros with his views and concerns about the change in the reggae community. They reasoned on this matter for weeks and decided to take on their first show with Mr. Norris Reid of the Viceroys. The phrase "bucket list" was always being emphasized by Matt to Adrian to choose an artist they have always wanted to work with. Preserving a once felt vibe and culture that the two of them knew was quickly disappearing, encouraged them to continue on establishing this movement. With the experienced band, Roots Covenant being the backbone of this journey and the vision of Hits Pon Hits, this reggae future is looking bright. This roots rock reggae movement has been brought to you by the guidance of the most high and the drive to bring the world reggae shows that you won't forget.